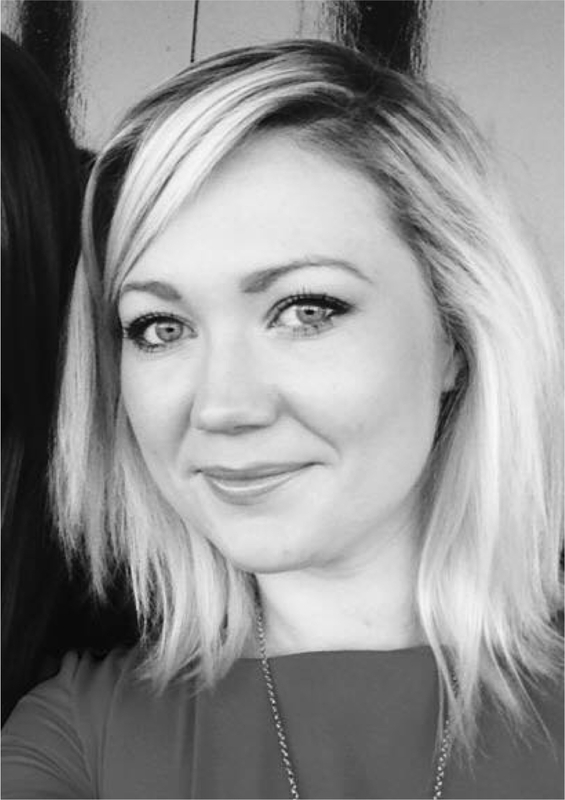 Laura McCaughey is a Sir Henry Wellcome Postdoctoral Research Fellow working at the ithree institute (infection, immunology and innovation) at the University of Technology, Sydney (UTS) in collaboration with the University of Oxford. Laura obtained an MSci in Forensic and Analytical Chemistry from the University of Strathclyde, Scotland, in 2010. During this degree Laura undertook a one-year placement at GlaxoSmithKline, Stevenage, UK, where she worked as an analytical chemist. She was then awarded a Wellcome trust PhD scholarship at the University of Glasgow. During her PhD Laura investigated the use of novel species-specific protein antibiotics, termed S-type pyocins, to kill the notoriously difficult-to-treat, and often multi-drug resistant, bacterium P. aeruginosa. Her research involved the discovery and mechanistic, structural and biophysical characterisation of known and novel pyocins and the in vivo testing of these antibiotics in a P. aeruginosa infection model. Over the last four years Laura has been actively involved in highlighting the problem of antibiotic resistance, and the interventions necessary to prevent the problem escalating further, to the public. Biochemical Society Bacteriocins focus meeting. The problem of antibiotic resistance, whereby bacteria become resistant to antibiotics used to kill them, has progressed to the stage where some bacteria are resistant to all available antibiotics. This means bacterial infections are causing longer illnesses and a greater risk of death. Therefore, new ways to kill bacteria are urgently required. Bacteriocins are species-specific protein antibiotics used by bacteria for intraspecies competition that show huge potential for therapeutic development to treat drug-resistant bacteria. Lectin-like bacteriocins, including the P. aeruginosa-specific pyocin L1, are a class of structurally homologous, genus-specific bacteriocins for which the cytotoxic mechanism is unknown. Laura's current research aims to identify the molecular target through which the lectin-like bacteriocins exert their cytotoxicity, and define its interaction with pyocin L1 and other homologous lectin-like bacteriocins. Laura's fellowship is 100% research focused. © 2017 Elsevier Ltd JO146, a mixture of two diastereomers of a peptidic phosphonate inhibitor for Chlamydial HtrA (CtHtrA), has reported activity against Chlamydia species in both human and koala. In this study we isolated the individual diastereomers JO146-D1 and JO146-D2 (in 90% purity) and assessed their individual inhibitory activity against the serine protease human neutrophil elastase (HNE) which is structurally and functionally related to CtHtrA, as well as in Chlamydia trachomatis cell culture. JO146-D2 [S,S,R-Boc-Val-Pro-Val P (OPh) 2 ], the isomer with the physiologically relevant valine at P1, had an approximate 2.5 – fold increase in in vitro HNE inhibition potency over JO146-D1 [S,S,S-Boc-Val-Pro-Val P (OPh) 2 ] and greater than 100 – fold increase in cellular anti-chlamydial activity compared to JO146-D1 which possesses the unnatural valine at P1. JO146 and the individual diastereomers had excellent selectivity for the serine protease HNE over the potential off-target serine proteases trypsin and chymotrypsin. Docking studies supported the biological data with a geometrically unfavoured interaction observed between the P1 valine residue of JO146-D1 and the enzyme S1 sub-pocket. Unlike their descendants, mitochondria and plastids, bacteria do not have dedicated protein import systems. However, paradoxically, import of protein bacteriocins, the mechanisms of which are poorly understood, underpins competition among pathogenic and commensal bacteria alike. Here, using X-ray crystallography, isothermal titration calorimetry, confocal fluorescence microscopy, and in vivo photoactivatable cross-linking of stalled translocation intermediates, we demonstrate how the iron transporter FpvAI in the opportunistic pathogen Pseudomonas aeruginosa is hijacked to translocate the bacteriocin pyocin S2 (pyoS2) across the outer membrane (OM). FpvAI is a TonB-dependent transporter (TBDT) that actively imports the small siderophore ferripyoverdine (Fe-Pvd) by coupling to the proton motive force (PMF) via the inner membrane (IM) protein TonB1. The crystal structure of the N-terminal domain of pyoS2 (pyoS2NTD) bound to FpvAI (Kd = 240 pM) reveals that the pyocin mimics Fe-Pvd, inducing the same conformational changes in the receptor. Mimicry leads to fluorescently labeled pyoS2NTD being imported into FpvAI-expressing P. aeruginosa cells by a process analogous to that used by bona fide TBDT ligands. PyoS2NTD induces unfolding by TonB1 of a force-labile portion of the plug domain that normally occludes the central channel of FpvAI. The pyocin is then dragged through this narrow channel following delivery of its own TonB1-binding epitope to the periplasm. Hence, energized nutrient transporters in bacteria also serve as rudimentary protein import systems, which, in the case of FpvAI, results in a protein antibiotic 60-fold bigger than the transporter's natural substrate being translocated across the OM. Protein antibiotics (bacteriocins) are a large and diverse family of multidomain toxins that kill specific Gram-negative bacteria during intraspecies competition for resources. Our understanding of the mechanism of import of such potent toxins has increased significantly in recent years, especially with the reporting of several structures of bacteriocin domains. Less well understood is the structural biochemistry of intact bacteriocins and how these compare across bacterial species. Here, we focus on endonuclease (DNase) bacteriocins that target the genomes of Escherichia coli and Pseudomonas aeruginosa, known as E-type colicins and S-type pyocins, respectively, bound to their specific immunity (Im) proteins. First, we report the 3.2Å structure of the DNase colicin ColE9 in complex with its ultra-high affinity Im protein, Im9. In contrast with Im3, which when bound to the ribonuclease domain of the homologous colicin ColE3 makes contact with the translocation (T) domain of the toxin, we find that Im9 makes no such contact and only interactions with the ColE9 cytotoxic domain are observed. Second, we report small-angle X-ray scattering data for two S-type DNase pyocins, S2 and AP41, into which are fitted recently determined X-ray structures for isolated domains. We find that DNase pyocins and colicins are both highly elongated molecules, even though the order of their constituent domains differs. We discuss the implications of these architectural similarities and differences in the context of the translocation mechanism of protein antibiotics through the cell envelope of Gram-negative bacteria. The colicin-like bacteriocins are potent protein antibiotics that have evolved to efficiently cross the outer membrane of Gram-negative bacteria by parasitizing nutrient uptake systems. We have structurally characterized the colicin M-like bacteriocin, pectocin M2, which is active against strains of Pectobacterium spp. This unusual bacteriocin lacks the intrinsically unstructured translocation domain that usually mediates translocation of these bacteriocins across the outer membrane, containing only a single globular ferredoxin domain connected to its cytotoxic domain by a flexible -helix, which allows it to adopt two distinct conformations in solution. The ferredoxin domain of pectocin M2 is homologous to plant ferredoxins and allows pectocin M2 to parasitize a system utilized by Pectobacterium to obtain iron during infection of plants. Furthermore, we identify a novel ferredoxin-containing bacteriocin pectocin P, which possesses a cytotoxic domain homologous to lysozyme, illustrating that the ferredoxin domain acts as a generic delivery module for cytotoxic domains in Pectobacterium.